Anyone has any idea if this is a recent/real proposal? From the sketches in the video it looks like the towers will cover 1.5 block along King, including the Princess of Wales Theatre. Its either old or [hopefully] you just may have uncovered "the big one"
Whatever it is, great find, golohendil. Thanks for posting. The firm that posted the video on Vimeo is called "Montana Steele". On vimeo, their header states: "Montana Steele is an award winning Toronto based strategic marketing firm regarded as North America's leading agency for new homes and condos developments." It lists 21 BILD nominations and, 3 BILD awards won. It looks like they've marketing the Britt (former Sutton Place) as well. Quite a few people listed that they've done business with, as well. Unless this is a bizarrely elaborate ruse...it looks pretty authentic. And probably new. I don't see a Princess of Wales Theatre made much room for in any of the models, though the models clearly show the buildings making way for Duncan St / Ed Mirvish Way. The bases of these buildings really do take up the sites. So either the theatre will have to be remodelled or heavily built over - or demolished. I can't really see it being demo'd...though I suppose all things are possible. Another possibility is that these three buildings will sit one block northward back in from King, saving any theatre problems from arising at all. Though the "night shot" does make them look as though they're sitting right on King. Also, if there's any truth to these videos, they look to be nearly twice as tall as the Lightbox. So...! Lets hope that this is for real and not just a fantasy. 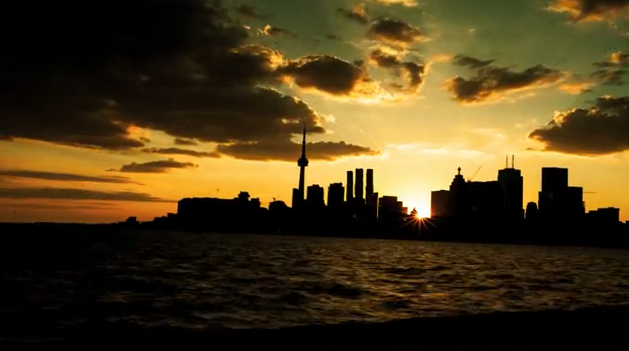 If real it would be the most exciting project announced to date for Toronto. 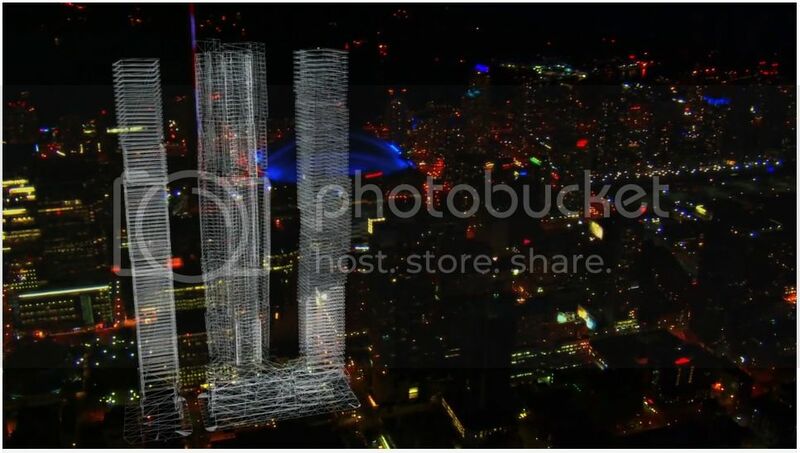 The three towers appear to be over 70 stories each - in fact judging from the screen shots above each tower appears to be taller than First Canadian! I so badly want this to be a real thing, that video has me feeling giddy with anticipation about this! It looked really well made too, I have some experience with digital effects in videos, and I can tell you that had to have taken a good while to produce. Unless it's a seriously elaborate joke, then we could be looking at the biggest Toronto project in decades! I saw a flash there toward the end of what looks like 8 Spruce St. 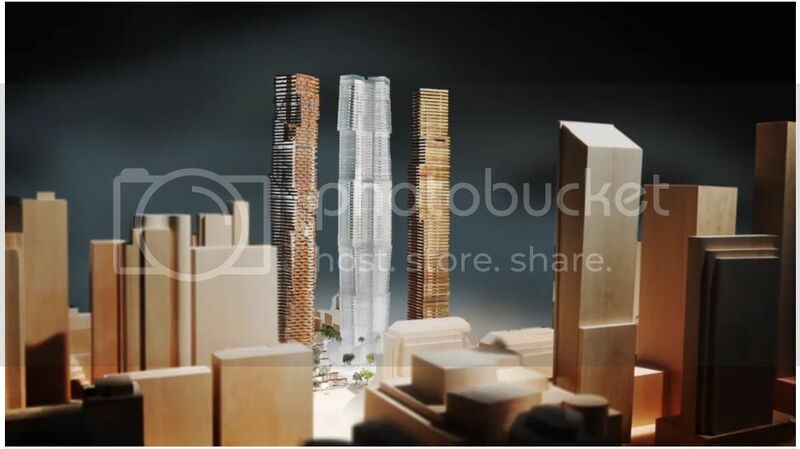 Does that suggest pulling from that design or is it just showcasing a Gehry building? Would the Princess of Wales remain? This has to be real. I don't see the point in making such a detailed video for fun. I guess these are the supertalls we've been hearing about for ages. I personally am not a fan of the fact that all three towers are basically identical in height and would be so close to each other. Also, they would block a significant portion of the CN Tower when viewed from the north. Also, they would block a significant portion of the CN Tower when viewed from the north. Interesting...however I'm again reminded that Frank Gehry isn't the greatest architect. Really? I'd take a Gehry designed building over roughly 99.5% of what exists in Toronto. That video is a shortened version of another one on Vimeo. 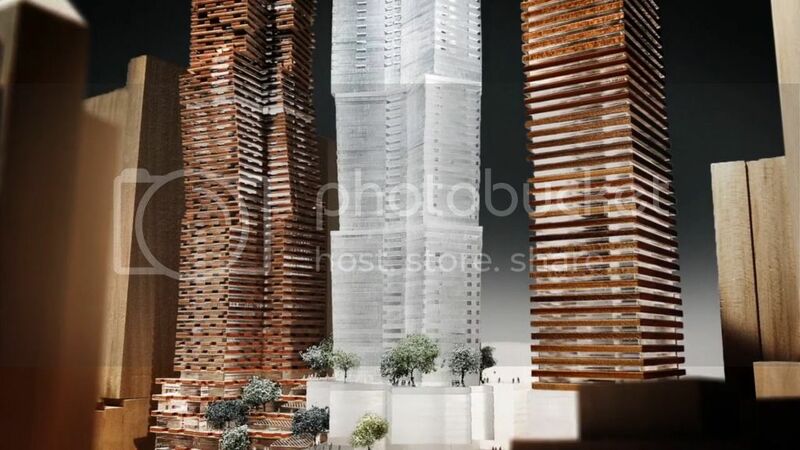 It seems they have used parts of it and put in the micro-interview with Gehry and the snapshots of the model. Appears to be between 260m and 290m. Doesn't look like these are super tall unfortunately. With the height restrictions in place, there will have to be some changes within the planning commission to allow this to happen. This is the type of development we have been waiting for. I hope it's for real. This video must be fairly new because 'Warhorse' is shown on the marquee of the theatre... and there is no chance the Mirvishes would knock down a theatre. Won't happen.